And tomorrow, I fly home. 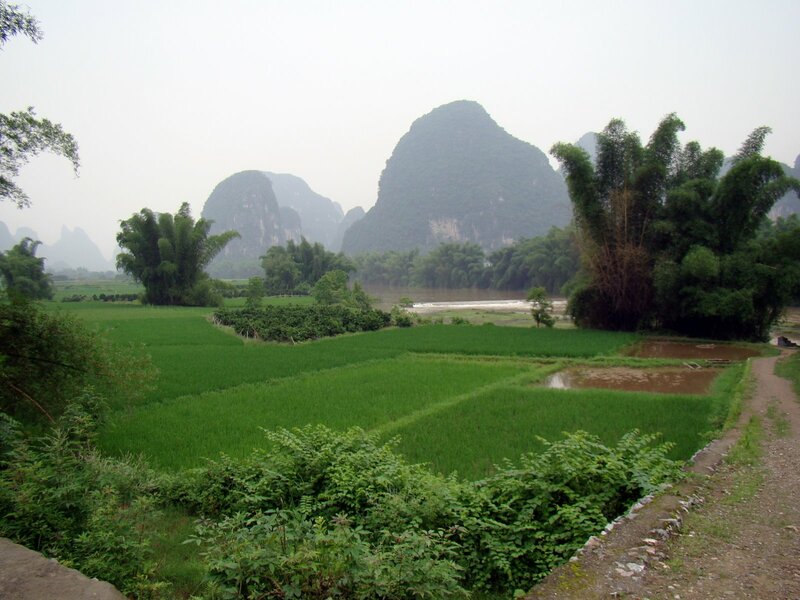 I would like to write more about China, my impressions and my adventures. But some thoughts are best to wait until I am no longer here. And that, of course, says something about China in itself. 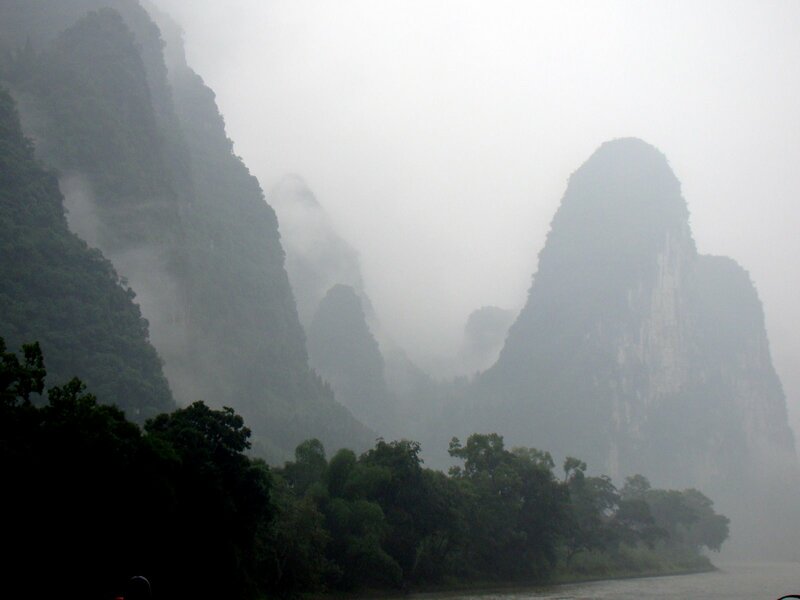 I leave you for the moment with pictures from my trip down the Li River, from the city of Guilin to the town of Yangshou. Whenever I quizzed a fellow traveller about their journeys in China, this destination always came up as one not to be missed. The voyage down the river was obscured by rain and fog, but that did not dampen the enthusiasm of the Chinese men at my table (actually, as a single, I was put at their table and they were the hosts of our long on board lunch) They had ordered the regional specialties for the group: river sails in garlic, deep fried whole fresh water shrimp, beer fish, and steamed flat fish. They tried hard to get me to drink beer with them, but I had been previously cautioned that once you accept one alcoholic drink in China, you will be in deep for the rest of the evening or journey in this case. No stopping or you will be considered a very rude foreigner and not appreciative of your hosts’ generosity. But if you firmly but nicely insist that you do not indulge at the outset, there will be no bad feelings. So I turned my glass over, drank my bottle of water, and joked with them (as best you can with no common language) and let them push the snails and whole shrimp on me. They were a little dismayed that the crunchy shrimp with heads on did not deter me from eating them with gusto: making foreign women squirm is good sport apparently! 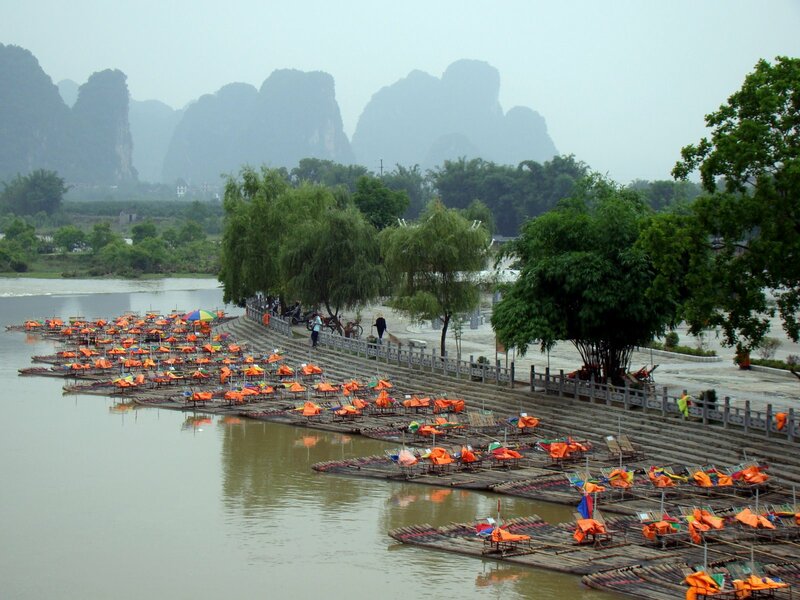 Our destination of Yangshou is a pretty charming town on this beautiful river, with lots of back backers in dreds and sandals on the circuit from Vietnam and Thailand. It’s that sort of place. It also offers the best rock climbing in China, so there are a lot of robust, adventure type travellers too. Over breakfast, I met a retired couple from Arizona who had been here for 6 months teaching English: they advised me that if I wished to stay a month or a year, just walk down the street, take a left and I would be assured of a job for as long as I wanted. I admit, I thought about it. My breakfast was enjoyed at a little cafe owned by a former hot dog vendor from Ottawa and his bride whom he met here on his first day in Yangshou. They live above the cafe with their new baby, where she makes jewellery and they ponder whether to move to Canada. Like most of China, Yangshou is developing, building, growing: it is clinging hard to its image as a laid back haven for city weary tourists and travellers. But I could see the “luxury” condo developments underway at every turn. 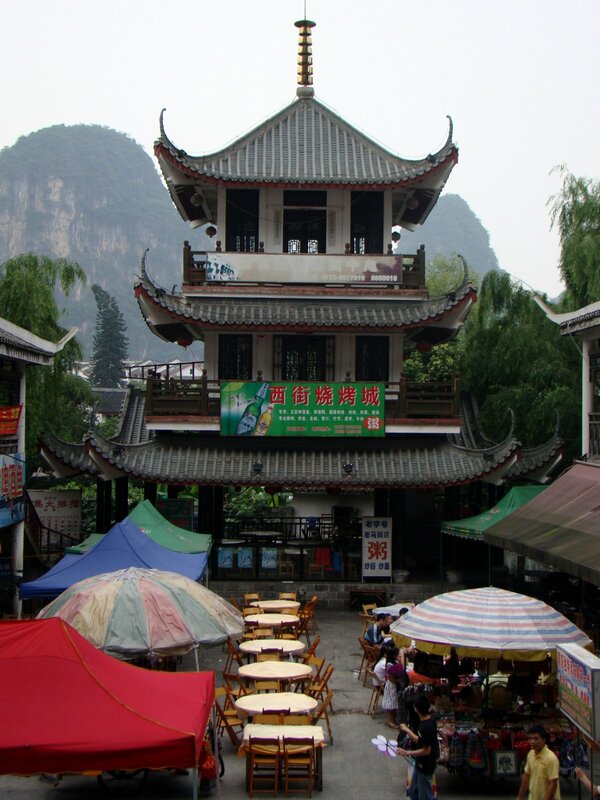 I think that I came to Yangshou at the best, and last time.